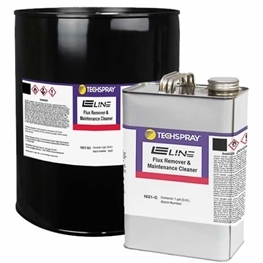 E-Line is a hydrocarbon-based flux remover formulated to be powerful, yet very economical. Eliminates brushing and scrubbing, saving time and materials. Micro-components and fine pitch leads are delicate and easily damaged, so brushing and scrubbing should be avoided if possible. 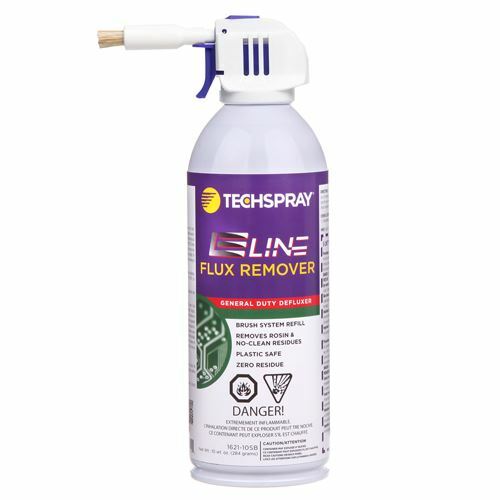 Techspray flux remover spray has a powerful spray that blasts off residues and cleans areas under components that a brush cannot touch.